Add more to your reading experience, listen to these playlists curated by Fuzz honey as you read this feature on them. 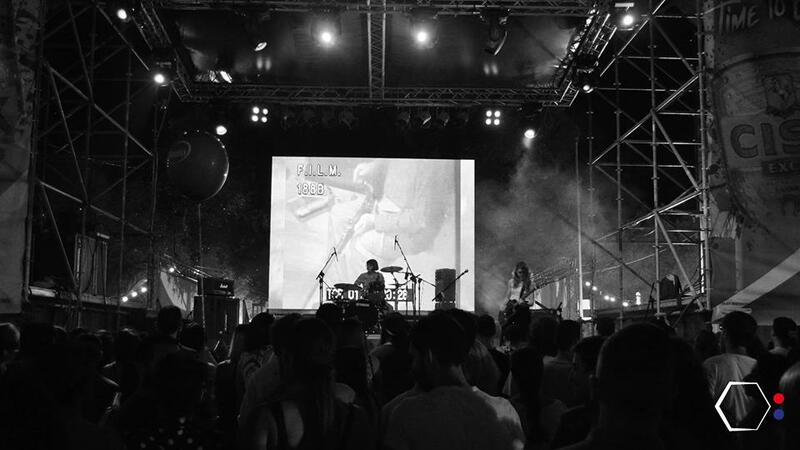 I first got to know about the Fuzzhoneys as I do with any local band, through Toni Sant’s excellent weekly podcast Muzika Mod Iehor. Their blend of soul with rock hooked me pretty much instantaneously and from early on I was telling everyone about this discovery in that insanely intense manner that only music seems to elicit. To be fair, I was an easy target. As someone who’s teenage years was soundtracked by various grunge anthems I could sense a hint of that spirit in their music (they would eventually tell me that Nirvana, who were at the forefront of grunge, were a group they deeply enjoyed) even if this wasn’t overt. More than that there is the admiration – and a faint element of jealousy – that I always feel for those who manage to create music with others. It was something that I always wanted to do but never had the determination to follow up on. Turns out that the Fuzzhoneys duo held that same ambition with the big difference that they kept going until it happened for them. “When I was young – I think around thirteen – a friend of mine used to play the piano and she used to tell me that when we grew older we’d form our own band,” Francesca tells me. “By pure chance we were going to the same festival. And we ended up staying together,” Caroline continues. There’s a word for that: serendipity. That the two of them hit it off so well is one of the reasons why, so far, they’ve remained a duo. But it is not the only one. “From other projects I realised that I work better if only with one person. A lot of people tell us that that we want to emulate the White Stripes. They were an inspiration but they aren’t the reason why we’re a duo. I enjoy having control of the guitar and dislike having a lot of solos. I like silence and I think that we have a very good control of silence. Especially in our new songs. Amazing,” Francesca says matter-of-factly and without any hint of ego. Early on in our conversation Francesca takes out a tattered notebook that contains four years’ worth of work. Through it they can map out their songs from opening inspiration to the final version. In it there are also those songs where the idea fizzled out. It is a thing of beauty, even if it may not look like it, and the loving way that Francesca leafs through it shows that she knows this. 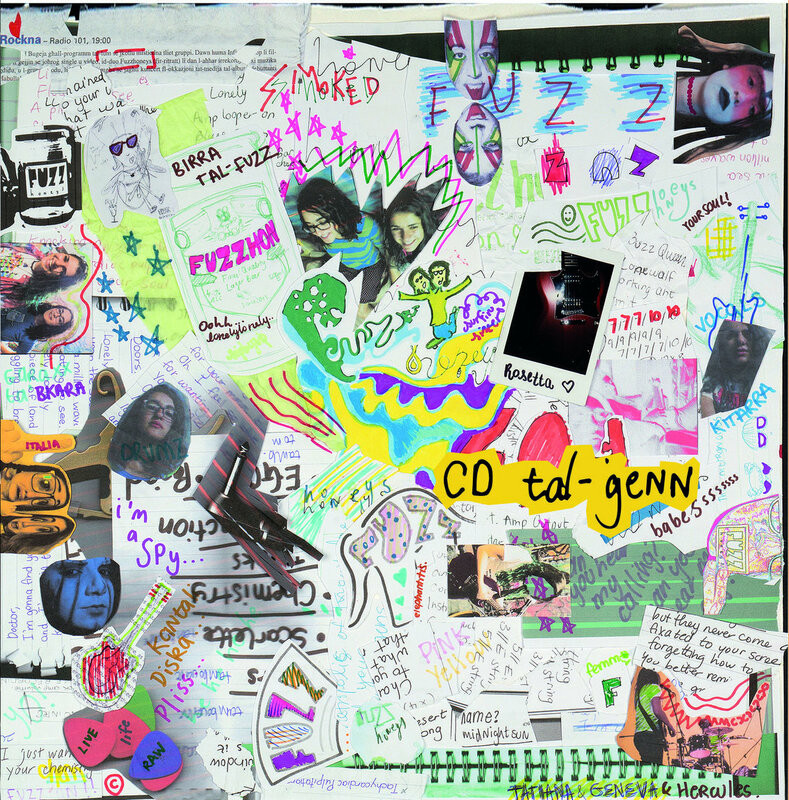 The cover art of Fuzzhoney's debut EP, 'CD tal-Genn'. Buy it. “Another song is called Cream that came about when I passed my driving licence test. So we work a lot with everyday inspiration. It is not like we’re some rock stars who have some idea and then get other people to help us. It is not like that. We have our work. We have our life. And then we go to rehearsals and what we do there is more authentic; it is straight from our heart. The maturity both in their process and in their thoughts is perhaps the most impressive aspect of the conversation. It is perhaps far too easy for those who are older – even if not by too much, like myself - to dismiss a lot of today’s youths as over pampered kids who are obsessed with themselves and how they appear on social media. Even if Francesca and Caroline do stop to take a photo to post on Instagram, they are far from frivolous or vain. They are part of a generation of people who have access to more information than has ever been available to humanity and they are doing their utmost to exploit it. “We love to read,” Caroline replies when I inquire how they come across their ideas. It is more than that, however. “I had never read 1984. Actually I had read parts of it but was too young to really understand it,” Francesca explains. Given the events of recent months across the world, that interpretation is both deep and prophetic. For the Fuzzhoneys, such philosophical musings are part of their fibre. And they take it very seriously, as they do their role as women. “I want to start a movement,” Caroline pitches in. PS – Francesca and Caroline insisted that I close off the piece with the quote “life is beautiful”. So I am. There might have been a hint of irony in their request, however. 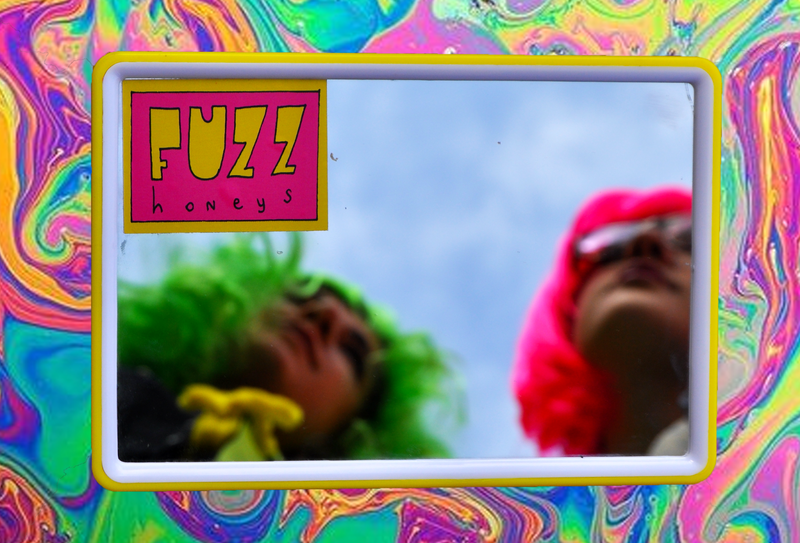 Follow the Fuzzhoneys on their site (where I strongly encourage you to check out and buy from their merchandise section), on Facebook and on Instagram. You can also follow Snapshots of Malta on Facebook here.